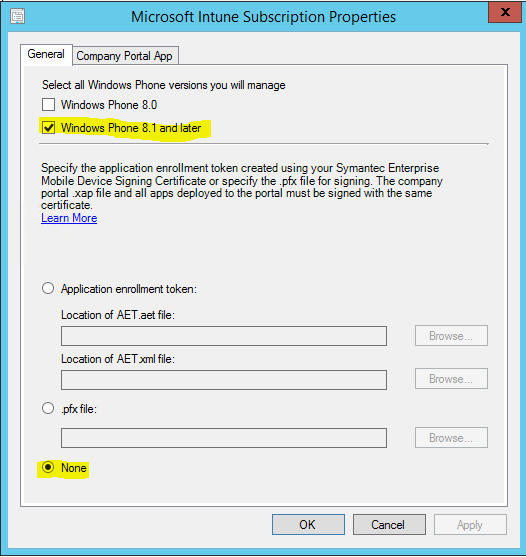 With the newly available Service Pack 1 for SCCM 2012 R2, there is no Need to create a self-signed Company Portal for the Windows Phone 8.1. For old Windows Phone 8.0 you will still need the signed Company Portal, but who really does still use Windows Phone 8.1? This means that users have to download the Company portal manually from the Store, where a Microsoft Account is needed. 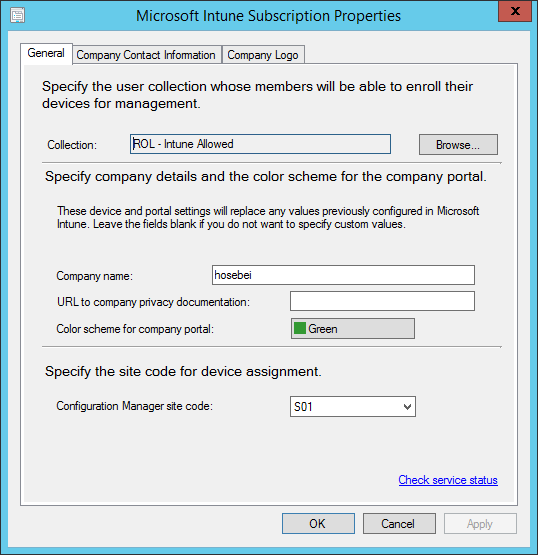 But you can also deploy the new Company Portal from Microsoft as APPX file, and deploy it through SCCM. 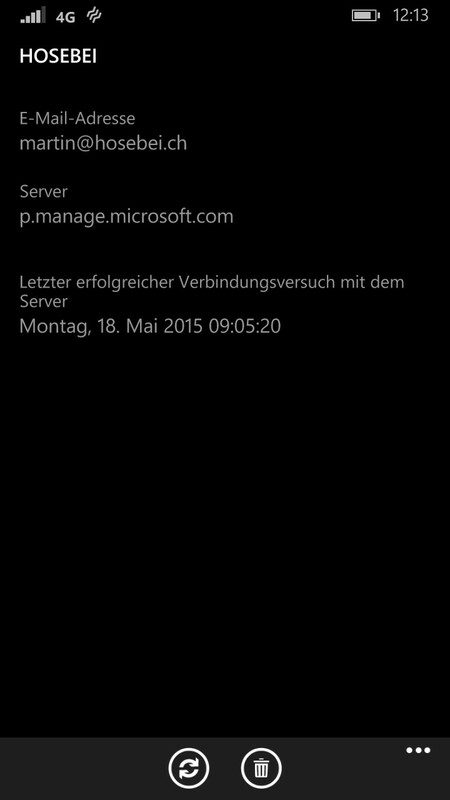 After the upgrade to SCCM2012 R2 SP1 only Windows Phone 8.0 is check marked. If you select “Windows Phone 8.1 and later” the option “None” is greyed out.